What Does It Mean To Have A Dream and Believe in America? Can we honestly say that the system needs to be completely reworked and that we need to start all over again from the beginning? Our Values are not worth building upon? Maybe the way things are just need to be better communicated or re-inserted back into the public education system. Maybe ‘change‘ for the sake of change is not the right answer. Do we sit silently while millions of $$ Dollars go toward negative campaigning and not toward economic growth, rebuilding infrastructure and other job producing efforts? Is it not the right of every American to be able to hold personal values high and to preserve precious opinions without having to be compared or cast as a violent enemy terrorist by a whimpering competitor? What makes it even harder to understand is that an established media can now be ‘purchased’ and once fair and honest news sources will paint, print and promote one side of an issue with the intention of wreaking absurd nonsense upon common sense thought. Follow the money……………Yes…..It takes money. On July 18, 2014, we are hosting a moneybomb. 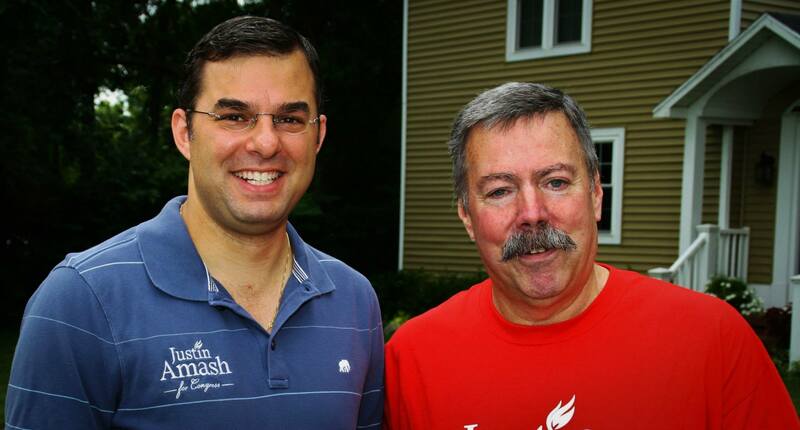 We have one chance to keep Justin Amash in office, and continue filling Congressional seats with people who will uphold their oath to the Constitution. By donating whatever we can to help his campaign, we will show the establishment just how strong the desire for liberty is. Come On America. You don’t have to sit quietly and take this nonsense.